PHOENIX – Gov. Doug Ducey on Friday signed into law a sweeping plan to confront the opioid crisis that provides $10 million for treatment, restricts timetables for opioid prescriptions and protects from drug prosecution Good Samaritans who call for emergency help if someone overdoses. Ducey, in the Capitol rotunda, signed the Arizona Opioid Epidemic Act, which the Legislature passed after a four-day special session. The $10 million will go to improving treatment access for uninsured and underinsured patients to help them receive the same treatment as other insurance holders. In addition, Naloxone, an overdose-reversal drug, will be provided for local law enforcement and corrections officers. 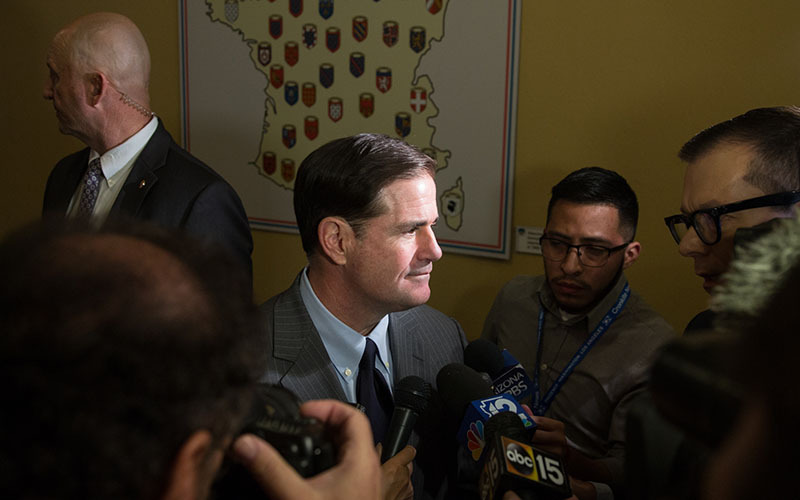 “Other states would be wise to follow Arizona’s lead,” Ducey said as he sat at an old, wooden desk in front of the state seal, surrounded by legislative leaders. 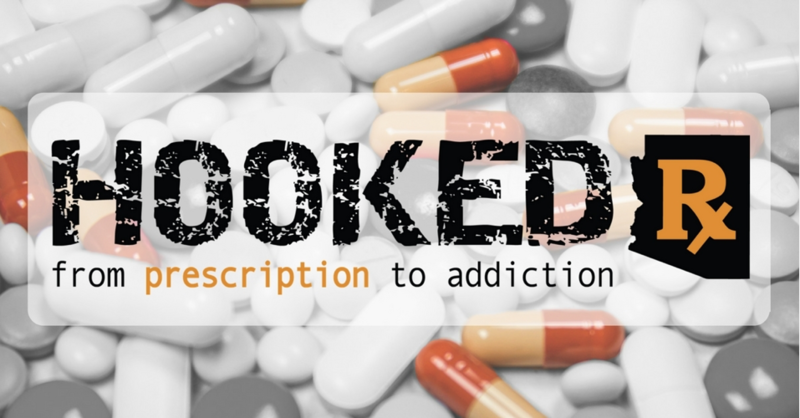 The law includes a so-called five-day rule, limiting the initial prescription fill to five days, along with a maximum dosage limit of 90 morphine milligram equivalents for patients seeking additional prescriptions after the first fill, according to the Arizona Opioid Epidemic Act. Exemptions are allowed for that limit, including patients suffering from burns and other serious injuries, those diagnosed with cancer and those receiving hospice care. The Arizona Medical Association has expressed concerns about the law’s maximum dosage restriction. But in an e-mail Friday, spokeswoman Sharla Hooper said the organization supports the new law. The association, in a statement, “recognized this legislation as a first step” for solving the opioid epidemic. Dr. Cara Christ, director of the Arizona Department of Health Services, said the law is not intended to hinder pain control but to prevent people with acute injuries from becoming addicted. She said people with more long-term conditions will not be affected by the act. The law has exceptions to the five-day rule for certain patients, including patients experiencing chronic pain, undergoing cancer treatment or hospice care. Doctors can potentially extend certain prescriptions following consultations with pain specialists. The Good Samaritan provision is intended to encourage bystanders to call 911 if they see someone overdosing on opioids. They will not be prosecuted for drug-related offenses but could be arrested for other crimes. Janice Morrison, a long-time advocate of such laws, witnessed the dangers of opioid addiction with her son, Brett, who was in a snowboarding accident that required prescribed opioids for treatment. That eventually led him to heroin addiction. Morrison reflected on a friend of her son who died from an overdose while surrounded by a roomful of people who feared their own consequences if they called 911. “This should have been done ages ago,” Morrison said. Back in June, Ducey declared the opioid crisis a statewide public health emergency. Since 2013, opioid overdoses have increased 74 percent, the Arizona Department of Health Services reported. Reporter Fortesa Latifi contributed to this story.